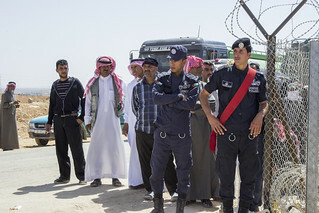 The town of Mafraq in the north of Jordan had 90,000 inhabitants before the Syrian crisis, with the influx of refugees its population has swelled to 200,000. The Zaatari refugee camp is now the fifth largest city in Jordan.Social tensions have emerged as a result of the changing environment, pressure on services and competition over limited resources. To address the source of the rising tension while coping with the ongoing influx of refugees, the Jordanian government has asked for World Bank support. The World Bank has responded with an emergency project that will help the Jordanian authorities provide services such as health, education, water and solid waste. With expanded capacities, local communities will be able to respond better to basic needs, reducing the tension between the host community and new arrivals.